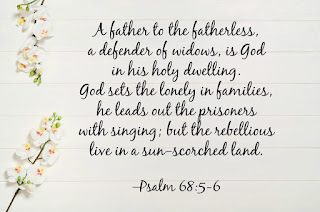 (Those in Prison): You who are Father of the fatherless and protector of widows, who settles the solitary in a home; leads out the prisoners to prosperity, but brings the rebellious to dwell in a parched land (Psalm 68.5-6): we pray for those now in prison. 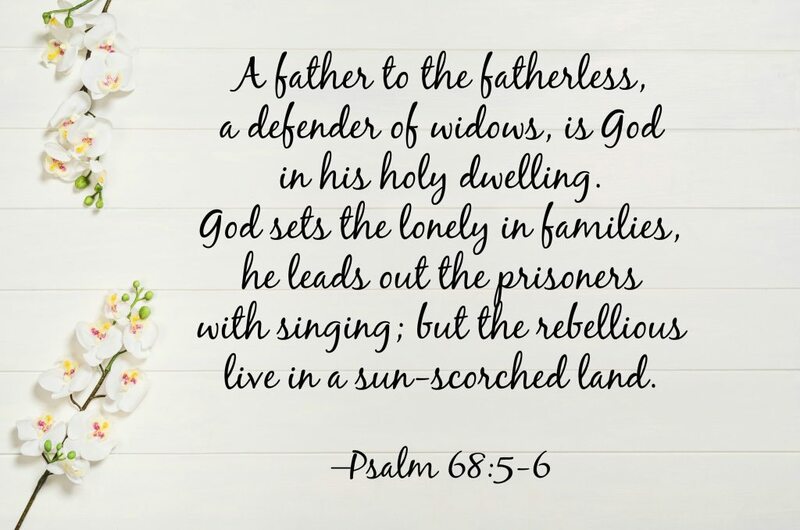 So many, though not all, have come from broken homes, fatherless homes, and violent homes. It is no excuse for their criminal activities, but it causes us great concern. We pray that you will visit them with your mercy and grace that they may come to truly know you as Father of the fatherless and help of the homeless. Bring them to genuine repentance and away from jailhouse religion. We pray this especially for those presently on death row, and specifically the 47 on the rolls in Oklahoma, some of whom have been on death row since 1994. Bless and enhance those who visit prisoners to show them better ways and The Better Way of Jesus. Those who have been jailed unjustly, we pray that their innocence will become clear as day, and they would be released and restored. O Lord, hear our prayer. (Crime Victims and Families): Just as you were conscious of your peoples’ affliction in Egypt as they suffered at the cruel hands of their task masters and said “I have surely seen the affliction of my people who are in Egypt and have heard their cry because of their taskmasters. I know their sufferings” (Exodus 3.7); so you have heard the cries and weeping of those who have suffered from wrongdoing, and those whose loved ones have fallen at the hands of criminals…We pray for the living victims that evil may be crushed, and their lives and wellbeing restored. We pray for the families grieving the violent death of those they loved, that you would comfort them in their heartache, bring justice to bear, and give them hope, even in the hurt. O Lord, hear our prayer. (Those with Addictions): Lord Jesus, who at your ascension ascended on high, led a host of captive in your train and received gifts among men, even among the rebellious, (Psalm 68.18): we pray for those who are shackled and trapped in their addictions...your resurrection and ascension emancipates the enslaved and restores liberty to the caged. May they come to know you and find you redeeming and releasing them, and see you set their lives in order and equip them to aid others into liberation. O Lord, hear our prayer.